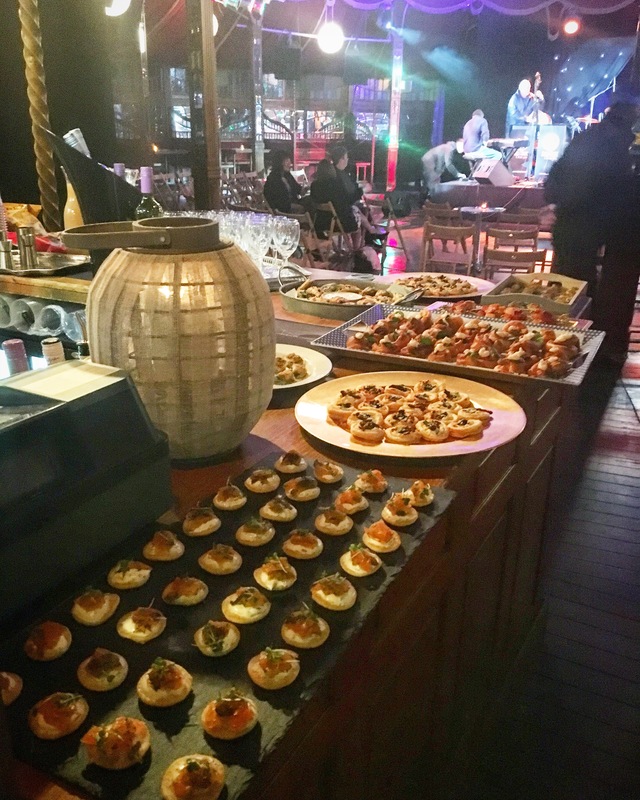 The trick for winning at entertaining during the festive season is by arming yourself with an arsenal of recipes that you can make ahead. You don’t want to be chained to the stove while your family and friends are sipping all the bubbly without you. 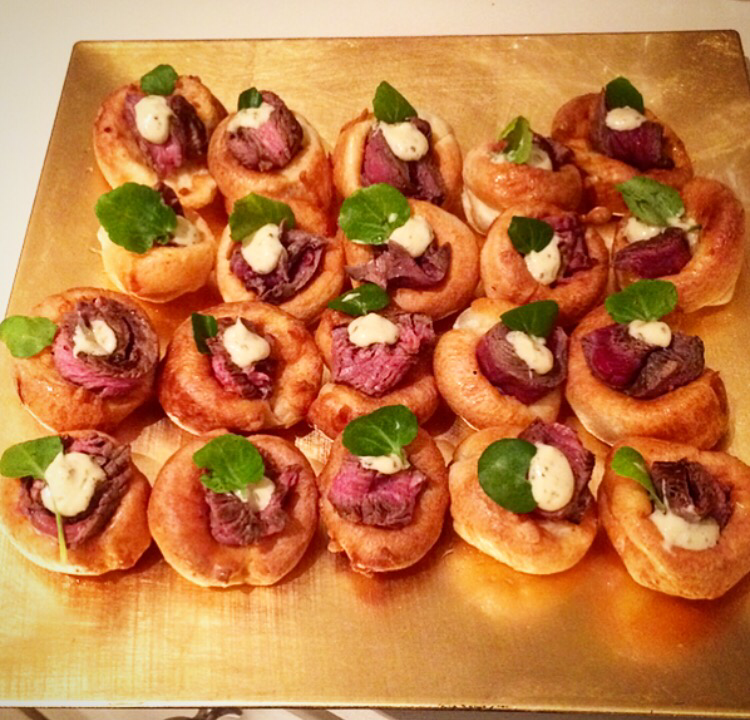 It’s important to strike a balance between impressing your guests and enjoying yourself too. Make sure you have time to toast your loved ones and let you hair down a little, just because you’re doing the cooking it doesn’t mean you can’t relax and have a good time! We tend to have at least 3 Christmas dinners in our house, all cooked by me. As well as the meal on the 25th we have a separate occasion with my Dad and his wife plus all my brothers, sister and sisters-in-laws and we kick the festive season off with a get together with friends, a ‘Friendsmas’ if you will. 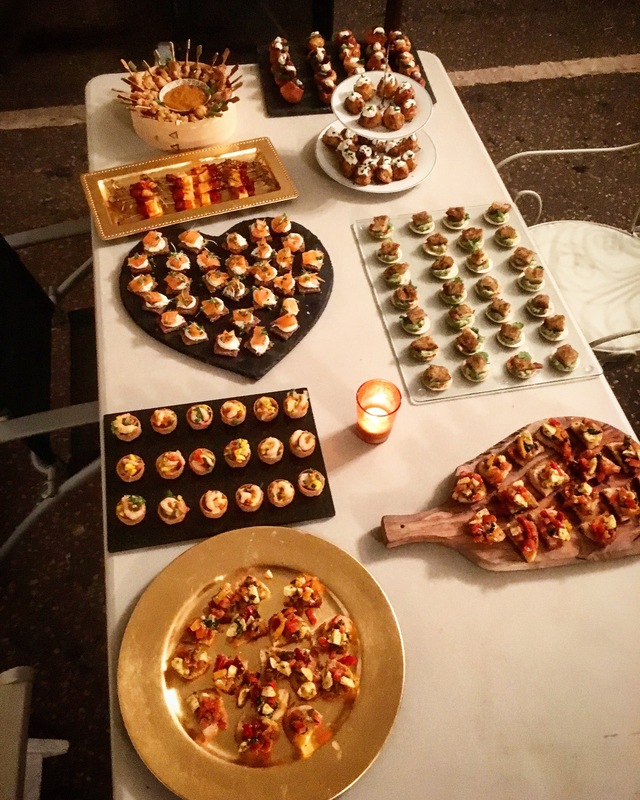 This actually happened to be the weekend just gone so I thought I’d share with you the recipes for some easy but delicious canapés that you can serve instead of a starter. 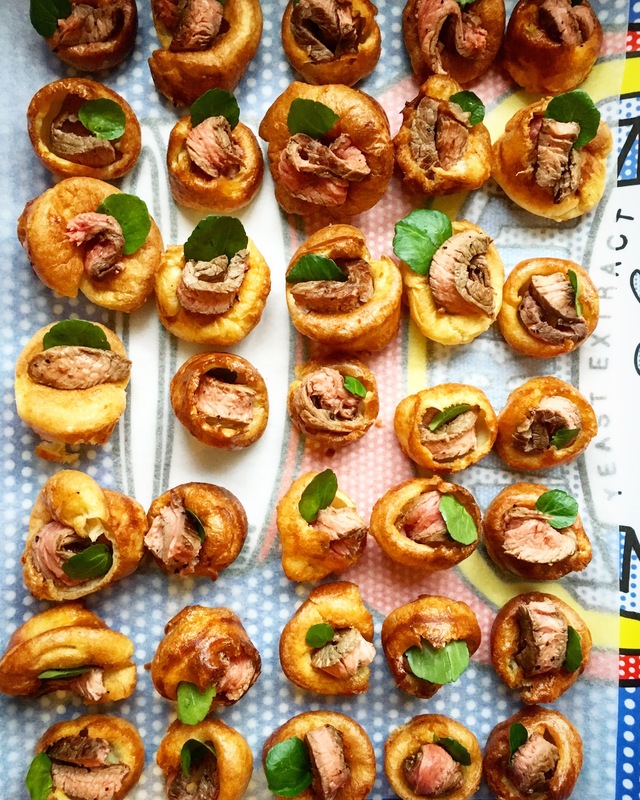 I really like to serve canapés instead of a traditional starter at the table because as many of you know when you’re cooking a roast most of the hard work is getting everything to come together right at the end. This means that in the 30 minutes before you eat you simply don’t have time to sit with your guests and then they feel guilty that you’re in the kitchen while they munch away. There’s also extra plates and cutlery to dispose of when you’ve already got your hands quite full. 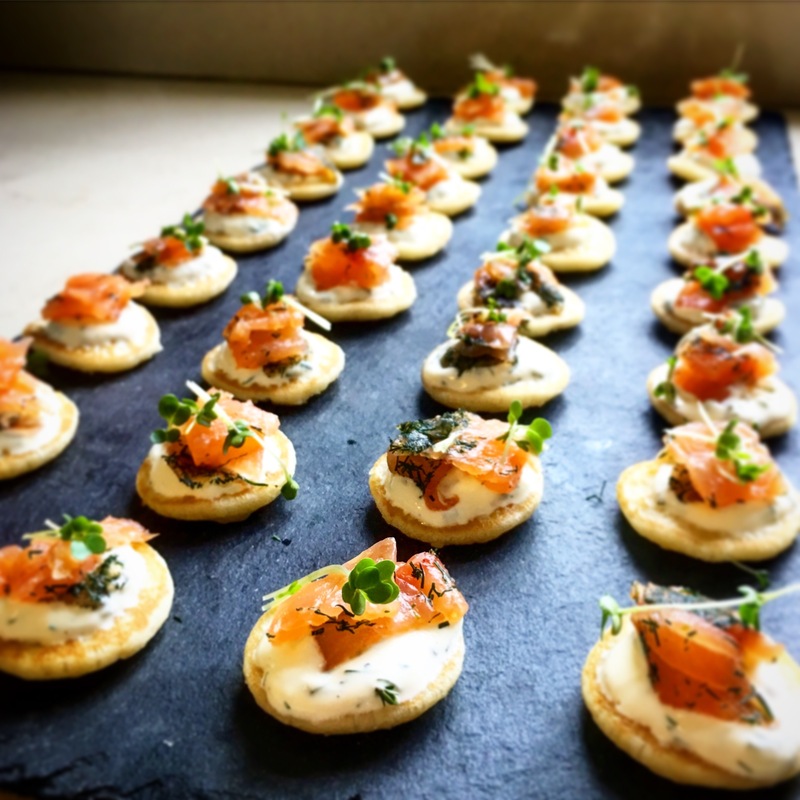 Trays of pre-prepared canapés not only look stunning but you’ll get to enjoy them too while you all have a drink and exchange gifts or catch up. They solve the problem of plates and washing up plus who doesn’t love miniature versions of their favourite foods! They’ll leave your guests wanting more rather than filing them up too much before the main event and actually work out as a good value option as well. 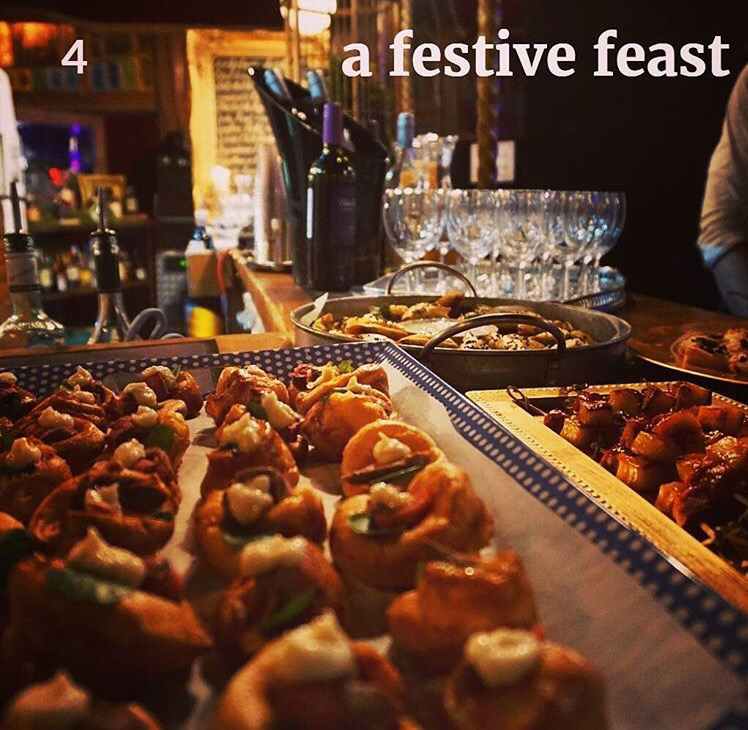 Add bowls of marinated olives, festive nuts and crips to your homemade canapés too theres so many lovely varieties in the shops at the moment! There’s lots of ready-made party food in the supermarkets now but I think you can always tell when someone has made their own. As already mentioned on my blog cooking is often used to treat depression and other mental health issues by encouraging relaxation, causing a distraction from your overwhelming feelings and creating an opportunity to share that can increase social interaction (and get the serotonin flowing again). 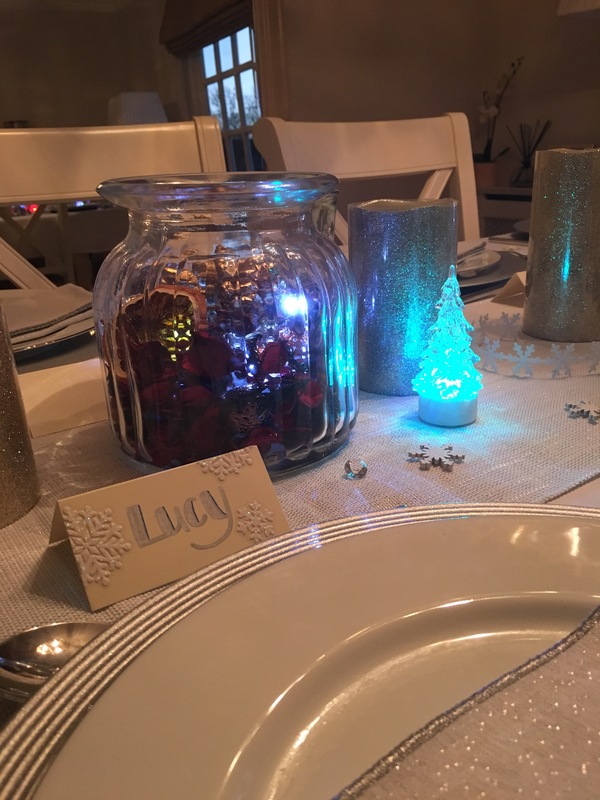 Often Christmas, although a lovely time, can be stressful and challenging for people who are suffering with mental health issues. You may have shied away from the responsibility of cooking due to low self-esteem and feeling that you just wouldn’t be able to cope. My advice is to have a go, if it feels a bit overwhelming then share the responsibility with another family member. As long as you’re organised and pick easy to follow recipes that you can make ahead I guarantee it will make you feel better! Plus if things get a bit much you always have the excuse of needing to be in the kitchen for a quick 5 minute breather and to remind yourself that you can do this! Use different textures and colours of platters to serve them on and leave them dotted around or ask a family member to hand them around with drinks. I often use boards or metallic chargers (99p each from Home Bargains) to serve mine on. Have a go at these recipes that make use of ready-made ingredients as well as elements that you make from scratch and impress not just your guests this Christmas but yourself as well. Make sure you take time to relax, it’s your Christmas too and if things go wrong it doesn’t matter- I guarantee you that no one will even notice! If things get a little stressful then simply remind yourself that you’re lucky to have food on the table and family to share it with and spare a thought for those who don’t. 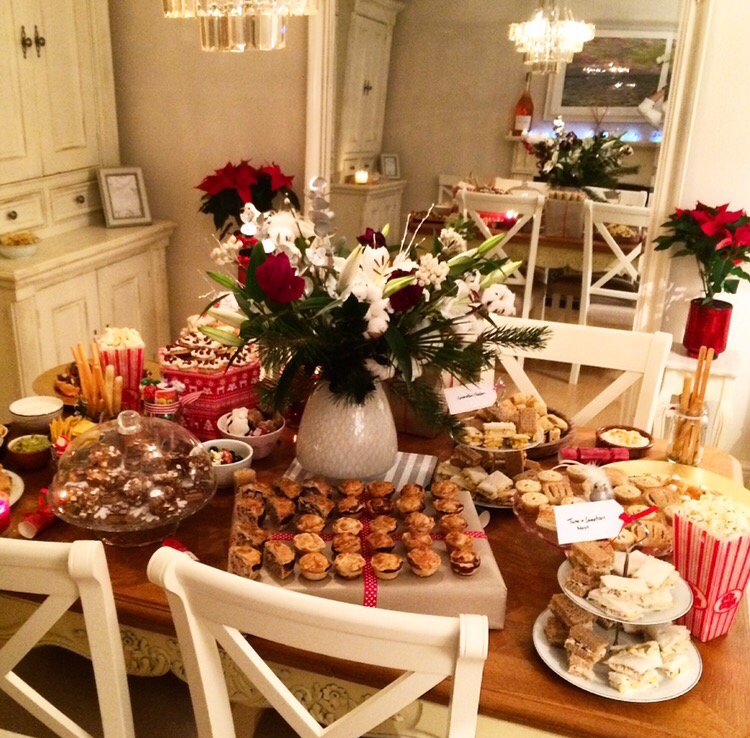 Have a happy December full of mindful cooking and eating! 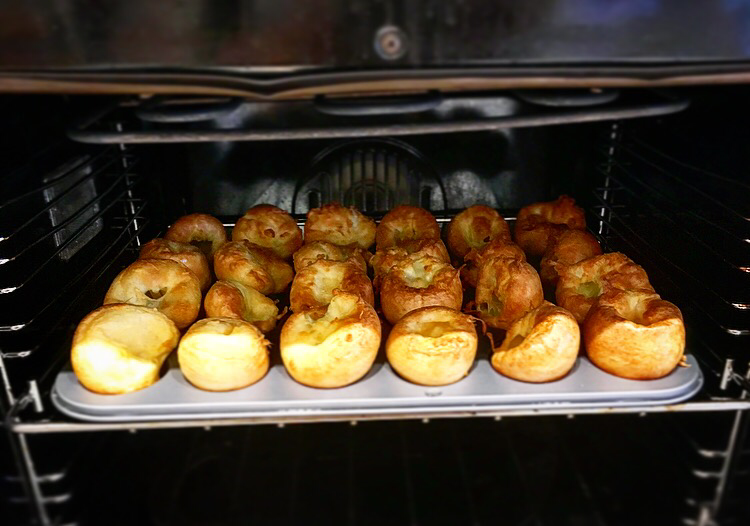 GET AHEAD: Yorkshires can be made, cooled and frozen for up to a month or made the day before and reheated in a hot oven for 5 mins. 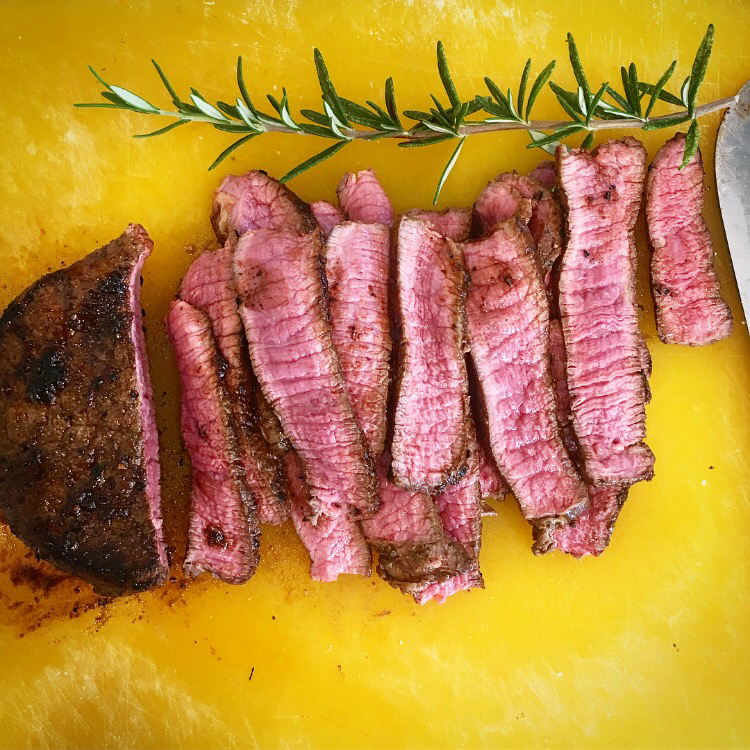 Beef can be cooked the day before, sliced then chilled and bought up to room temperature before serving. Spoon the sauce into a small disposable piping bag or small sandwich bag and have ready in the fridge then snip off the end and pipe on top before serving. You’ll need a mini muffin tin. Available at most larger supermarkets or Lakeland or online at Amazon. Mix the batter; tip the flour into a bowl with 1 tsp salt and the mustard powder, make a well and crack in the eggs. 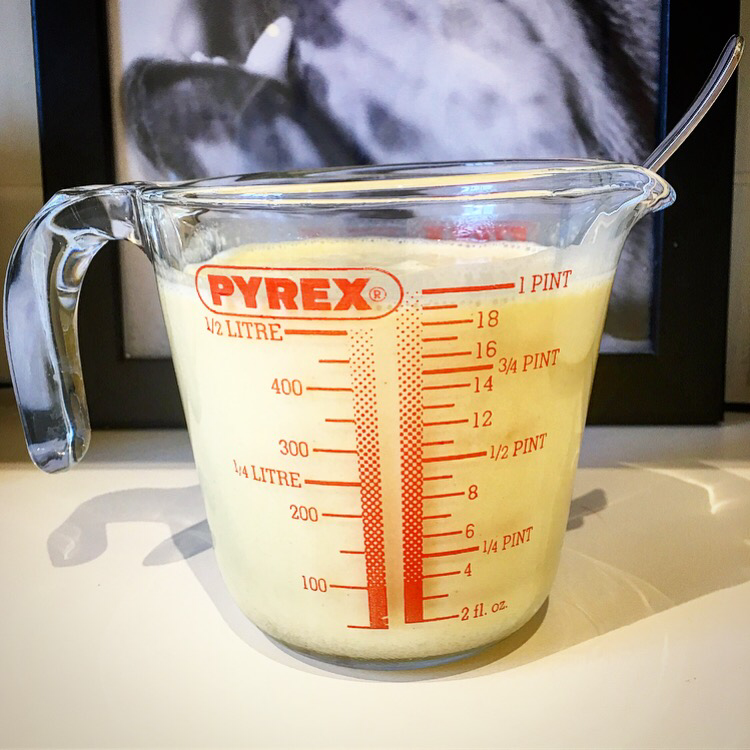 Mix with electric beaters until you have a very thick but lump free batter. Add the mild gradually until lump free. Tip into a jug and rest for an hour. Or make and leave in the fridge for 2-3 days, take out an hour before cooking. Heat oven to 200C/180C fan/gas 6. Tip a little oil into each hole of a 24-hole mini muffin tray so the base is covered. Transfer to the oven for 10 mins until really hot. Remove and pour about 1 tbsp of batter into each, work quickly. Leave the tray on the hot hob if you can so the oil stays hot but be careful when picking the tray back up it will be hot. Cook for 18-20 mins until golden brown and risen. Remove and stand in the tin for 10 mins then lift onto a wire rack. I serve these at room temperature to save reheating but if you want them hot reheat in a hot oven for 5 mins before serving. 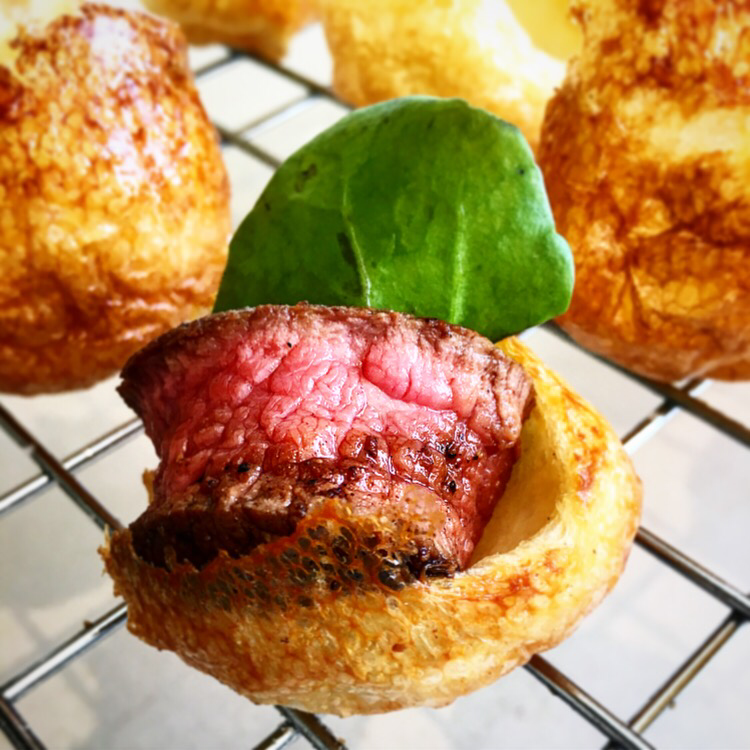 To assemble place a watercress leaf in each pudding, fold over a slice of steak and tuck in then pipe on some horseradish. Will be fine plated up to sit for an hour, or chill if any longer but allow to come to room temperature for 30 mins before serving. 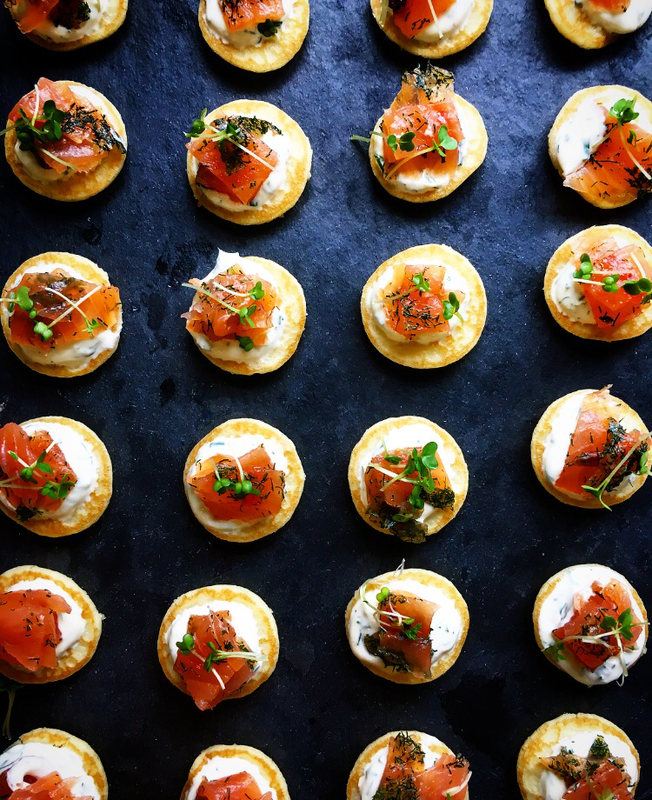 Although these seem simple they are a real crowd pleaser and you don’t want to make your life too hard by making all your canapés too complicated. Lidl sell excellent value gravlax. GET AHEAD: Will be fine plated up to sit for an hour, or chill for up to a day in advance but allow to come to room temperature for 30 mins before serving. Mix the sour cream with the herbs and lemon juice and some salt and black pepper. Spoon the sauce into a small disposable piping bag or small sandwich bag and have ready in the fridge then snip off the end and pipe on before serving. Slice the salmon into 36 small slices. Snip the cress tops from the soil. Arrange on a platter and pipe a mound of sour cream on to each. Top with a slice of salmon and finish with some cress. 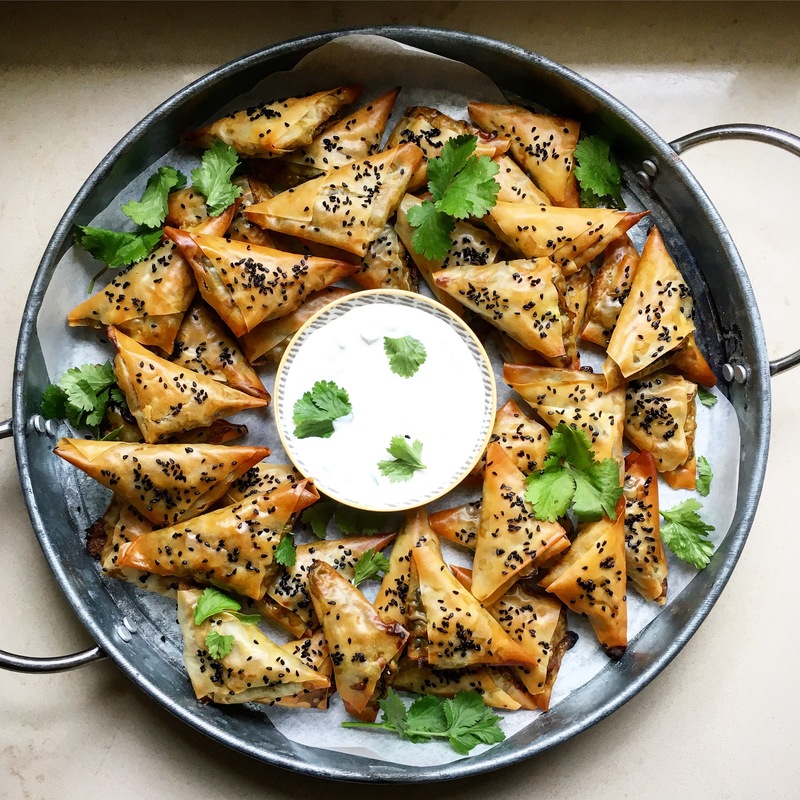 If I’m making a curry for dinner I will always make my own sauce with spices, herbs and aromatics however I think these spice kits are perfect for making these samosas! It saves time and money and they still taste really authentic. I’ve added a few extra ingredients that I think really improve the taste. GET AHEAD: You can make the curry 3 days before you need it, the flavour will actually improve. Or make up the samosas 1-2 days before and leave in the fridge then just pop in the oven just before serving. 250g pack filo pastry (12 sheets), (I used Theo’s) defrosted (you may have some left over, I find some sheets rip so it’s good to have extra just in case). Make the curry; Heat the oil in a medium but deep frying pan and cook the spices and garlic and ginger puree for 30 seconds then add the onion and a pinch salt and cook gently 5-8 minutes until softened. Add the aubergine and cook for 2-3 minutes until starting to soften then add the sauce and water according to packet instruction and cook for about 25 minutes until the aubergine is tender and the sauce coats the veg. Stir in the lime and chopped coriander and check the seasoning. Leave to cool, or cool and chill for up to 3 days. Heat oven to 220C/200C fan/gas 8. Make the samosas. Taking a sheet of pastry at a time and keeping the rest under a tea towel to stop them drying out cut each into 5 thin strips. (You wont need all the pastry). Place a teaspoon full at the top corner of one of the strips and brush the pastry with the garlic oil. Fold over to encase the filling in a triangle and then keep folding to create a triangle parcel with the filling completely sealed. Brush with more oil and sprinkle with nigella seeds and transfer to a trays lined with parchment. Repeat. Allow to chill for 10 minutes before cooking then bake for 20-25 minutes until golden brown. Serve scattered with coriander with a ramekin of raita dip. Next Post Chocolate Truffles & a Thank You!